Now here’s a photoshoot we are really excited to share! Lenka and Patrick are friends of ours from back home in Vancouver, Canada, and they are also former wedding clients. We had the great privilege of capturing their wedding photos in 2012, and I can honestly say that of all the weddings we have photographed over the years, theirs remains among the most memorable! In fact, if you are looking for some different and unique ideas for your own wedding, try taking a page from the book of Lenka & Patrick. These two crazy kids planned a wedding that was akin to a surprise party…for all of their guests! They had their wedding guests arrive at a preliminary location, under the pretense of attending their engagement party. Then everybody was shuttled to an old warehouse distillery in East Vancouver, where a stunning candlelit wedding ceremony awaited them upon arrival. Little bottles of liquor were lovingly left on each guest’ s chair, setting the tone for the wild celebration that followed, and once all the bewildered and amused guests were seated, the grand wooden doors flew open to reveal the impossibly stunning bride that Lenka had transformed into! The cheering and hollering could be heard from blocks away, as Lenka & Patrick became husband and wife. It was a wedding that I’m certain no one will ever forget! 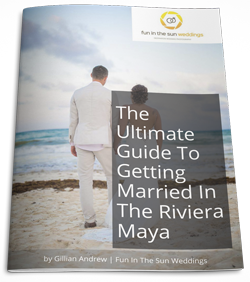 So you can imagine our excitement when Lenka and Patrick contacted us to say they were coming to Tulum, Mexico for some fun in the sun, and true to their style, they surprised us with the news that they two had now become three! They had recently started their family with a beautiful daughter, Sierra, and wanted us to capture the memories of their first family vacation on Playa Paraiso beach in Tulum. Lenka & Patrick, congratulations on your beautiful baby girl! It was SO incredibly wonderful to see you, and we hope you come to visit again soon! 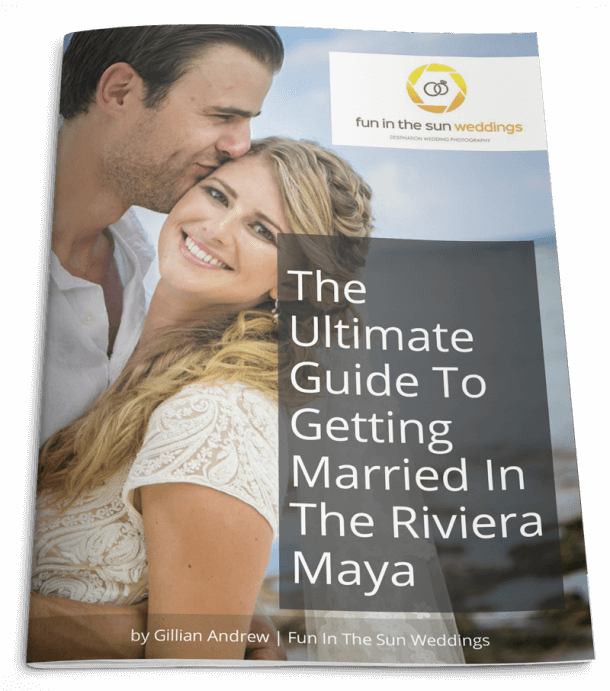 If you are coming down to the Riviera Maya, and want the best Tulum photographer to capture your once-in-a-lifetime memories of your vacation, family, engagement, proposal…or of course, wedding photos… then contact us today! We are Fun In The Sun Weddings, the best photographers in Riviera Maya, Mexico! Want to know more about Tulum, Mexico? Read unbiased reviews on Tripadvisor here. Mark is a champion! Fun in the Sun took our “dream” surprise wedding and captured what seemed like every moment. And there was no shortage of amazing ones! The secret with any elite photographer is the ability to hide in the weeds and catch those raw natural shots. The entire evening felt as if Mark was a guest and part of the party. He was a real chameleon and the photos speak for themselves. Every time we have visitors at our house, our wedding album turns heads. Mark’s creative vision, light-heartedness and passion make him a star and we would highly recommend Fun in the Sun Weddings! These guys are the BEST! Not only do we cherish the stunning photos of our wedding, but we also have wonderful memories of the great energy and experience they brought us on our wedding day.